So I realized the other day that it's already been a year since we finished Book III, Where Flap the Tatters of the King. We're already a year into working on Book IV, Going Forth by Day. We're about 200 pages in and not moving along nearly as quickly as I'd like, but whaddaya gonna do? Genius can't be rushed. I'd been meaning to compile some O4S trivia for some time. I'm kicking it off with Book I, The Order of the Four Sons. 1. O4S was originally a movie. Back in 2005, some friends of mine hooked me up with a local director who was in search of a screenwriter. He wanted to make a horror film in Excelsior Springs. So we did it, and not only did I conceive of what is now the O4S-verse, I got to play a small part. (I also got to help scout locations, build sets, and hold a boom mike. It was a small production.) The movie was filmed over the summer and then . . . well, nothing. It never got edited into an appreciable product. I retained the rights to the script. While filming, I met this nice guy named Coyote who was an extra. (He played an eretic.) He was also a writer. After the movie wrapped, we kept in touch. I don’t think either of us had any idea of what we were getting ourselves into. 2. Thanks to the movie, I’m stuck with an ugly cat. Late one July afternoon, as we were getting ready to shoot some night scenes, I heard a kitten mewing outside the Royal Hotel. I found her huddled in a patch of dirt. She was only three weeks old, malnourished and dehydrated. We got her some water and I took her home early the next morning. 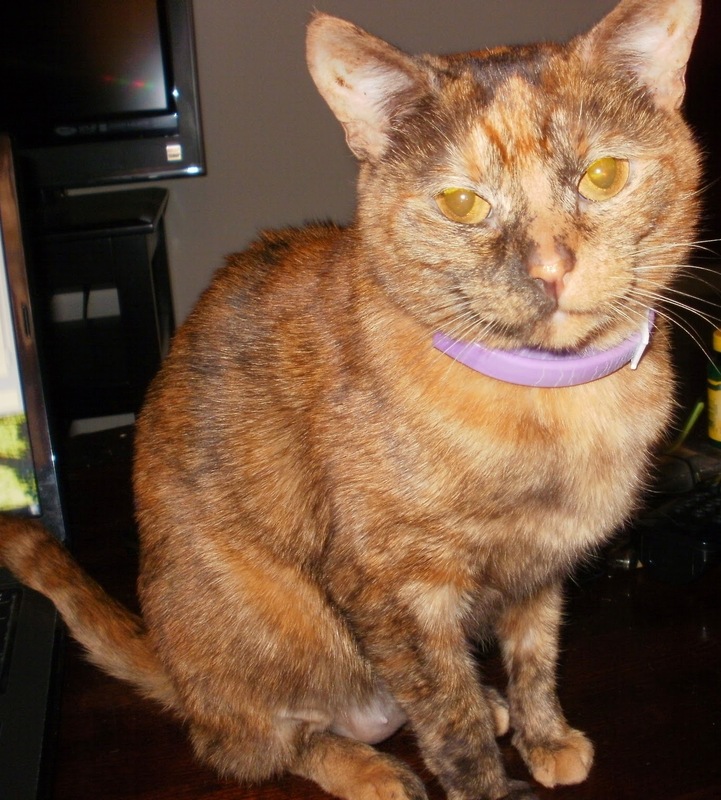 She looked like an orange cat that’s been dragged under a truck. I thought she was dirty, so I gave her a bath. It turns out, that’s just what she looks like. To make matters worse, she has squinty little eyes, bat ears, and a funny little Pinto bean nose. We named her Otter. She never got very big, but she has an over-sized personality, and she coos when she’s happy. She has come to be the inspiration for several of the creatures who appear later in the series—the Hormiga Beast and the mermaids, for instance (“They glided over the surface, their long, lean bodies like otters, racing for it”—not accidental phrasing). She has also inspired critters in other tales of mine—the dragon in The Ice Dragon, the sphinx in The Winter Prince, Carlos’ cat in Under Julia. Coyote and I frequently ask ourselves where we would be without my little beast. Where indeed. 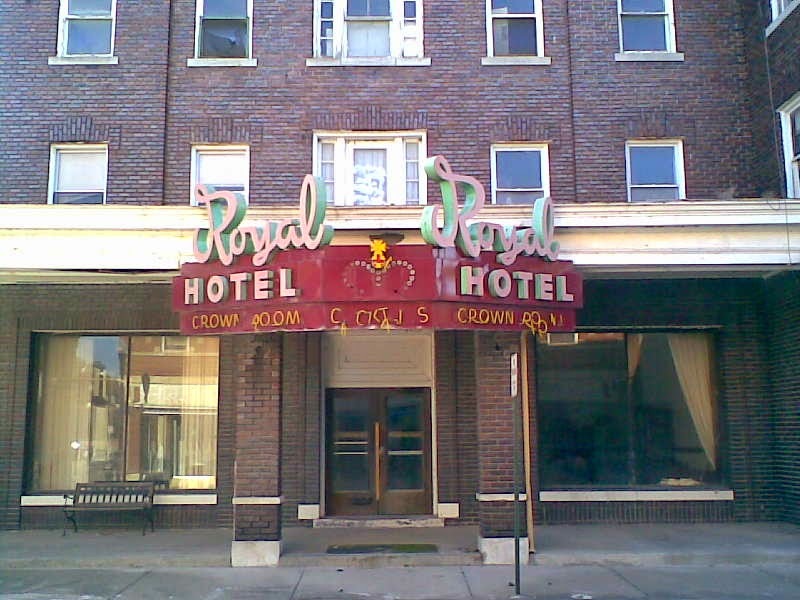 The Royal Hotel, the Hall of Waters, the Elms, the Monterey Motel, the Salem Hill Cemetery (where there are, in fact, quite a few Masonic graves) are all real places in Excelsior Springs, MO. Several of them are rumored to be haunted. My step-father’s family has lived in the Northland area of Kansas City for generations. The site where the Royal Hotel now stands was originally the Snapps Tavern, owned by Lena Hill. My step-father is related to Ms. Hill. Also, my husband and I have had several relatives who’ve worked for the Elms Hotel. King has been a tremendous influence on modern horror and it’s almost impossible to write a series like O4S without giving him some shout-outs. In the case of Book I, it’s mostly the structure—multiple points of view, and supporting documentation like news articles and diaries, which is how he structured his first novel, Carrie. Also, the haunted hotel schtick, since The Shining was the first King book I ever read. The James farm is in Kearney, MO, just up the road from Excelsior. 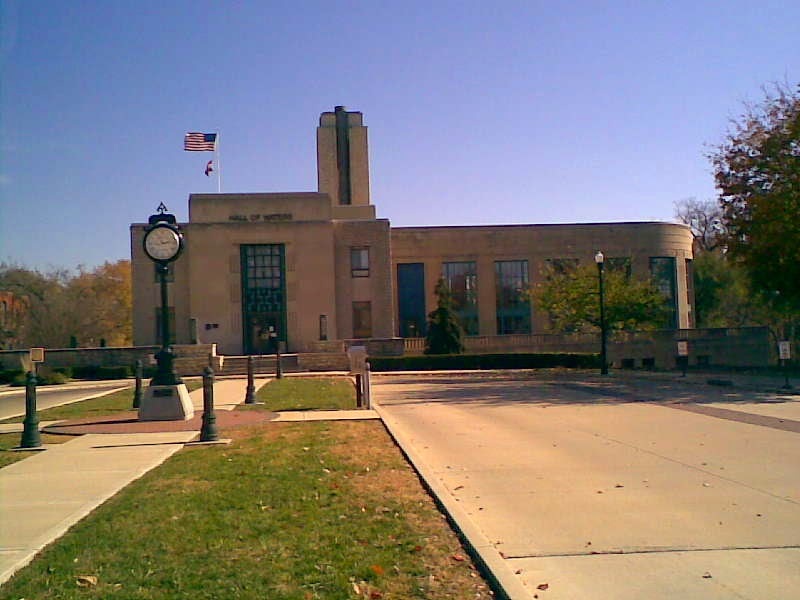 Their father was one of the founders of William Jewell College, in Liberty, MO. 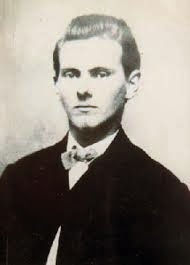 There really is a theory that Jesse James survived being shot and went into hiding. Though, as far as I know, they were never involved in a pseudo-Masonic organization like the Order. The Whitefeathers are entirely fictional, though there are a lot of people in the area of Native American and French descent. 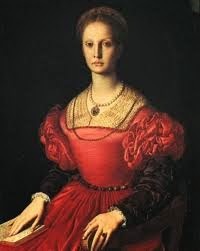 Elizabeth Bathory, obviously, is based on a real person, and so is Katarina Benicka. Mihaly and Klara, however, are fictional. Jack the Ripper/H. 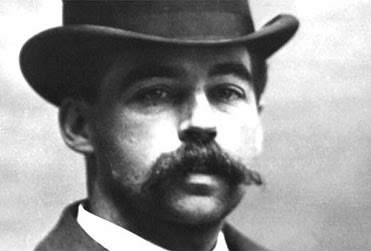 H. Holmes are based on the real-life serial killers. I am not the first to suggest that they were the same person. Why not? The dates check out. Akhenaton was most famous for trying to institute monotheism in ancient Egypt. He was also known for having a strange androgynous build, believed to be caused by a rare genetic disorder. 7. Eretics: zombies en flambe? Eretics are . . . something I totally made up, I guess. I could’ve sworn I found a reference to them in Eastern European folklore, but now I can’t, for the life of me, find the original source to cite. (It has been nine years since I first came up with them, after all.) I wanted something Eastern European because—Bathory. But not vampires. Anything but vampires. Since necromancy is something of a specialty of Bathory’s, I thought they were the perfect demon henchman for the Blood Countess. According to the article I came across all those years ago, eretics (or eretiks) are reanimated corpses. 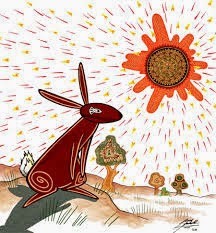 They are red and burnt-looking because it is believed that their spirit has been called back from the fires of hell. In the O4S-verse, it's believed that the concentrated power of the spell that has reanimated them burns out their already-fragile, decomposing bodies. I love the smell of burning zombie in the morning! Each book corresponds to an element. Book I is water, hence the cover is blue with a pattern to suggest water. 9. MJ-12. It's a thing. Recently, my husband and I were watching old X-Files episodes and the MJ-12 project was mentioned. He turned to me and was all, "Wait-- MJ-12? That's really a thing?" Yes. Yes, MJ-12 is really a thing. I was a big X-Files fan back in the day, so I read everything I could get my hot little hands on regarding UFOs and government conspiracies. MJ-12 is short for Majestic-12, the project believed to have been formed after the Roswell Incident to study UFO technology. For O4S-verse purposes, we wanted a shady government branch that dealt with paranormal activities. It makes sense to us that any UFO technology in our stories is more likely to be extra-dimensional rather than extraterrestrial. 10. A major character dies in every book. Hey, we’ve got nothing on George R. R. Martin. But we did have four major character deaths planned from the inception. Sorry, but it had to happen. We, the authors, are dark, chthonic gods who demand sacrifice. Keep those boxes of tissues handy. The series was pretty well planned out, from beginning to end, before we started writing Book I. Because of that, we were able to pepper in a lot of clues/foreshadowing and recurring images throughout the books. Here are a few. Water - Kansas City is basically one big flood plain. We have the Kansas and Missouri rivers. We have Excelsior with its mineral springs. We have innumerable small rivers and creeks. We have more fountains than any other city in the world except Rome. It pisses down rain here all spring and summer. Water, water, everywhere—a powerful symbol of life, femininity, fertility, intuition, and all kinds of mystical stuff. The Sri Yantra - In Book I, it makes its first appearance in the Hall of Waters. 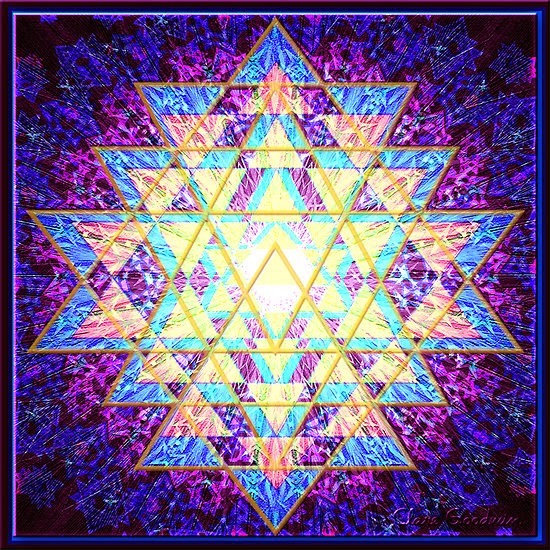 A Hindu Yantra of nine interlocking triangles that radiate from a central point, it is the Cosmic Yantra, or the Yantra of Creation. The opposite of Isfet, in other words. Get thee behind me, Isfet. Phoenix - Seen at the top of the Hall of Waters. A symbol of rebirth. Minotaur - In Book I, there’s just a brief reference, when Murphy remarks on the labyrinthine quality of the “Other Hotel” construct. Kansas City is a cow town. Anyone lived in pretty cow town? Colors - We’re heavy into color symbolism. All of the main characters are assigned a color and a corresponding element; e.g., Kate’s color is blue and her element is water. Names - In many world religions and traditions, names are very powerful. To speak the name of someone or something is to create it, or to have power over it. It's a major tenet in demonology. Isfet, the force our heroes are fighting against, means destruction, to “unname.” All the characters' names means something significant. For example, JD Garnett's name is a play on the blood-red stone. We assigned him the color red, the element of fire, and he's stone-cold killer. Clayton is so named because we assigned him the color gray, and the element of earth ("clay"). Grabowski means "place of the hornbeams." I can’t think of a name more earthy than a tree. Names are also bound up in personalities, personas and aspects. Hence, sometimes JD is just JD, and other times he's the Colonel, depending on his mood. Our names are also associated with people's perceptions of us. Elizabeth Bathory is sometimes Erzsebet, sometimes Eliza and sometimes the Blood Woman. Jack, of course, sheds personas whenever it suits him, taking his "H" names for reasons known only to him. Egyptian and Lovecraftian imagery - too much to name here. The Order and their nemesis organization Starry Wisdom go back to ancient Egypt, as does the creature, Akhenaton. Akhenaton is a thing of Isfet, and hence, a bringer of chaos and madness. (Madness robs one of his/her identity, which, again, is connected to the idea of "unnaming.) Akhenaton is also a great swapper of identities, like Jack. It is the King in Yellow, a reference to the Chambers work which features more prominently in Book II. Stay tuned-- I'll be posting trivia for Book II soon. While you wait, you could always read (or re-read) the O4S series to date. Just sayin'.